January dry inland; February too? By Jim Purpura. Posted February 1, 2012, 9:18 AM. 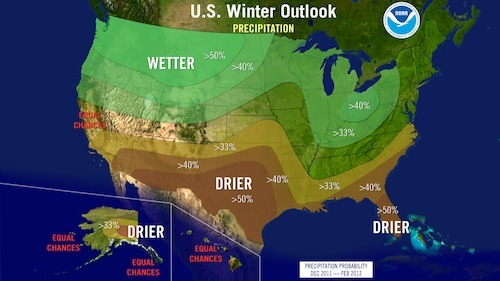 January, as predicted, turned out to be another disappointing month for those who like to see rain and mountain snow. For the sunshine buffs it was a winner, with many sunny days and clear nights. Frequent offshore wind events also meant relatively few days with morning fog and low clouds. February also looks to be below normal once again according to NOAA's Climate Prediction Center. 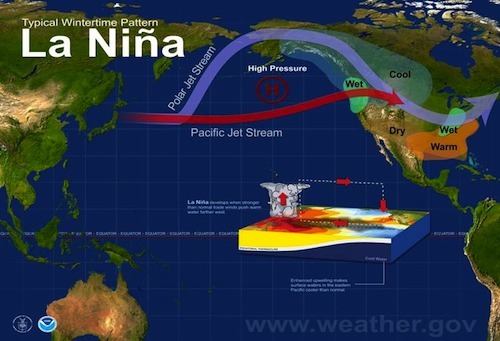 In the WeatherCurrents network, February is climatologically the wettest month. The Temecula station, for instance, has the longest period of record (since 1999), and averages 3.69 inches of rain over the past 12 1/2 years.